It’s a bittersweet juxtaposition that is much in evidence on the pair’s new album, ‘Odeon’. It opens with the hazy strings of ‘Zur Guten’, which ebbs into the oozing keys and pizzicato steel string guitars of ‘What If’, which features a smokey vocal from Sarah Carlier. Lead single ‘Jayjay’ is a haunted combination of sombre piano chords, rolling drums and weird, otherworldly vocals from JJ Jones. 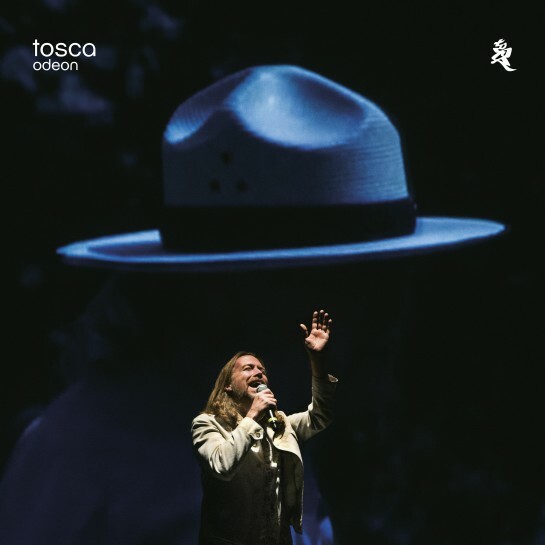 It’s the pivotal track on a record that sees Tosca tapping into gothic atmospheres. It’s darker than their previous five albums, more downbeat, at times ambient. It’s unlike anything else out there at the moment. Listening to a track like ‘Meixner’ you have to go back to the ’80s and ‘The The’ for a reference point. It’s truly peerless stuff. “We’ve always had a darker, ambient side,” says Dorfmeister. “But we really wanted to emphasise that aspect of music with this record. That’s where our hearts are at the moment, just keeping the whole vibe low and understated.” Huber takes up the thread. “The album is definitely a little darker than anything we’ve done before. It’s mainly male vocalists. There are the moodier ambient tracks and then some songs with downbeat bluesy feel.” Is there a reason for this sombre tone? Nothing specific. “Obviously our music is influenced by our experiences of life — it couldn’t be any other way — so in some senses it’s a kind of diary, but there weren’t any single incidents that caused the record to be that little bit darker,” says Dorfmeister. If anything, the exact opposite is true: life has been good. “Over the last year I think we’ve both learnt to be more generous and to understand our own limitations and other people’s” says Huber. A case of musical yin and personal yang, then. They certainly have. It’s been called ‘the Vienna sound’. And, in updated form, it still sounds like nothing else. 2012 marks the 27th anniversary of !K7 Records. The label will be celebrating with a series of live events, releases, and special projects incorporating music and artists from past, present and future of the label, and the DJ-Kicks series.